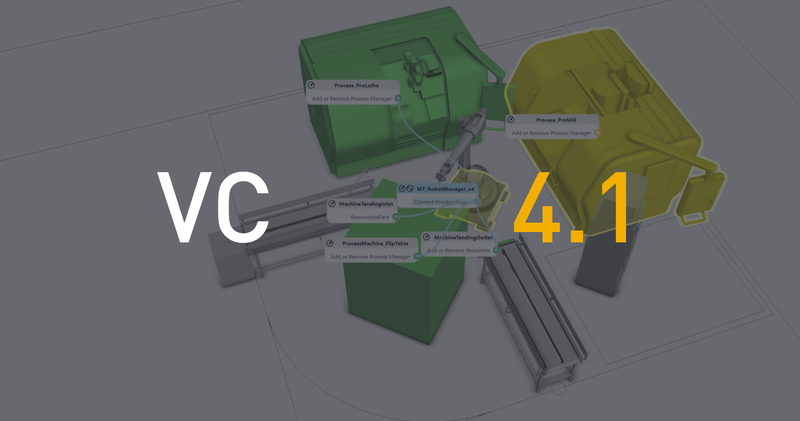 We've made a lot of improvements in this major release, including new features, a streamlined workflow, and performance improvements. Read more here! 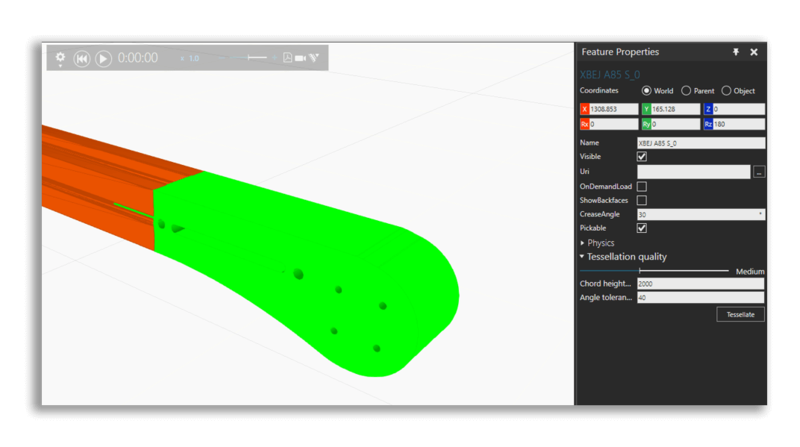 Introduces a wizard to simplify the workflow for creating charts, graphs, and dashboards. 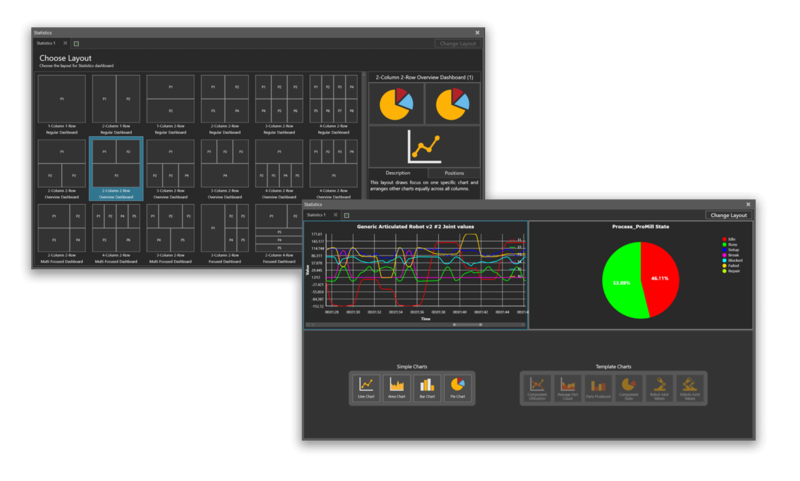 Includes more options for dashboard layout and chart design. Surfaces and curves of geometries can be imported and saved with mathematical precision. 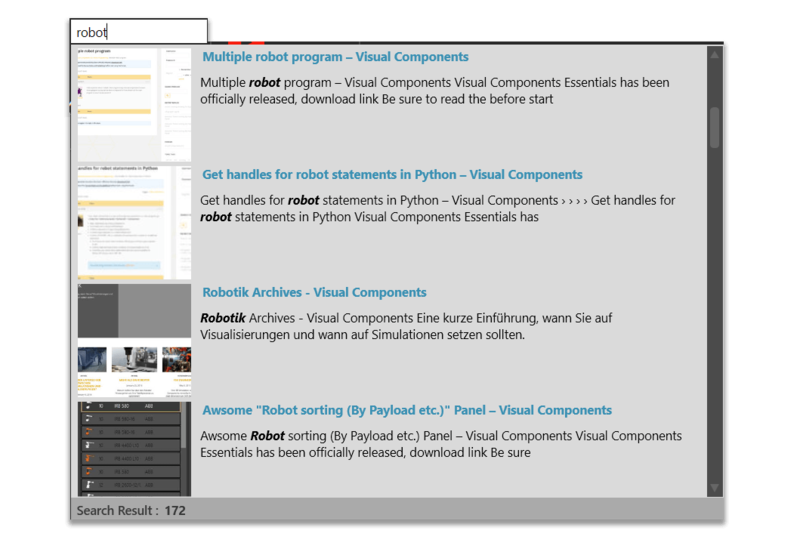 Introduces an action panel to establish and manage interfaces amongst components. Especially helpful for managing connections for larger layouts. 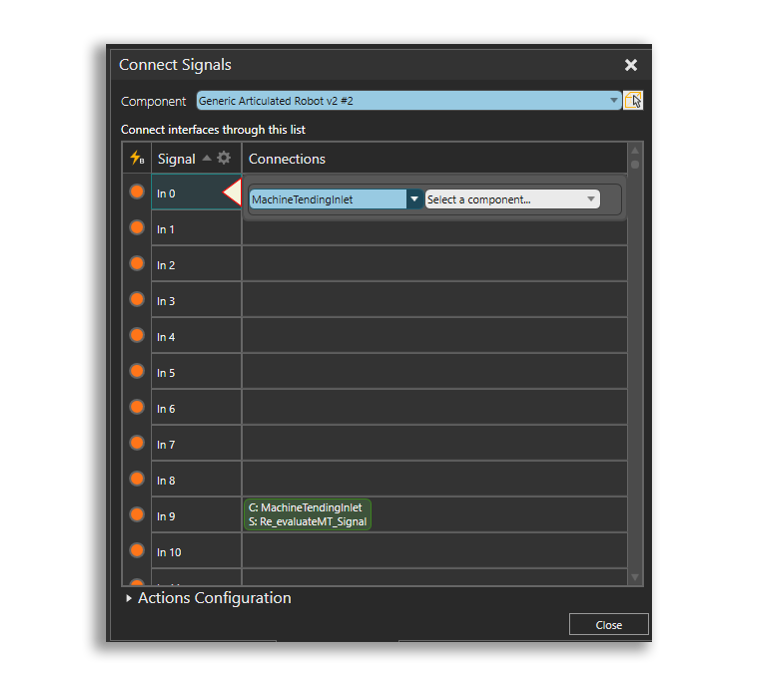 Introduces an action panel to establish and manage signal interfaces amongst components. The camera animator simplifies the workflow for creating professional looking simulation recordings. 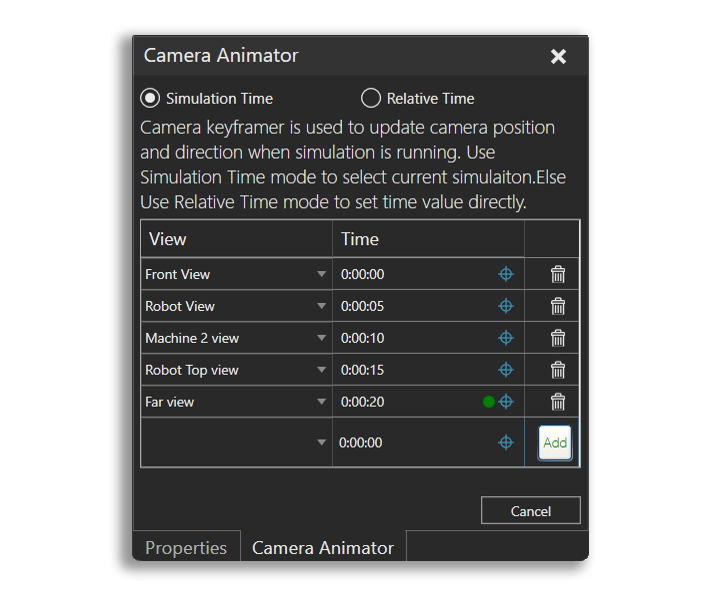 The action panel allows users to control the camera view, time, and interpolation method. Search web content from www.visualcomponents.com, Visual Components Academy, and Visual Components Forum. 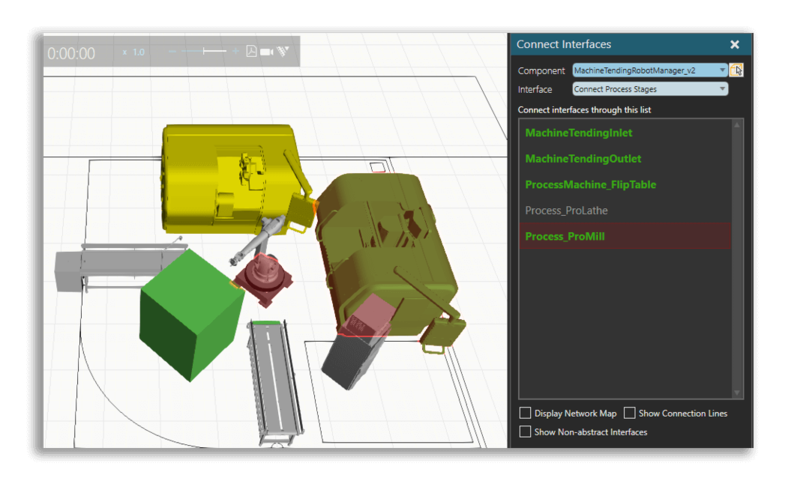 Find out how leading system integrators and OEMs use Visual Components to design, validate, and sell pharmaceutical manufacturing solutions.